1. What does it mean to be a “Garden Witch” or to practice “Garden Witchery”? 2. How does your new book, “Book of Witchery”, differ from your previous release “7 Days of Magic”? Well, to begin with its more than doubled in size! The 2004 manuscript which was made into 7 Days of Magic was only 34,000 words long. Book of Witchery finished up at over 87,000 words long. I have been teaching classes all over the country from the information in 7 Days of Magic for years. So when the opportunity arose to re-release the book I told the editors that I wanted to expand the book make it more in depth and to make it bigger. So Book of Witchery, has all of the basics, that folks have come to expect from me, but I added to the information and went deeper. It also now it features daily mediations, potion and philter recipes, magickal craft projects, a daily ritual, and a new chapter on “Full Moon Witchery”. The “Full Moon Witchery” chapter goes a step farther than your usual magickal book and explores what magickal energies are in play when the full moon occurs on the different days of the week. For example, what will happen when a full moon occurs on a Monday- which is the day of the week devoted to the moon and lunar magicks….. This final chapter allows you to think outside the box and to learn something new. 3. Why write a book that focuses on the days of the week? Because knowledge is power! Once you know your daily correspondences you have options and amazing opportunities to personalize your Craft and to advance your own magickal skills all on your own. It always astounds me when I go to teach a class, and then I’ll ask folks, how many people there know their daily correspondences by heart, how few people actually do. Adding this practical information to your spell casting repertoire is a smart thing to do. Since once you have that information in your memory, it opens up worlds to you. You won’t have to dive for your reference books and look things up. You will know what works the best, what items and deities compliment each other and work in harmony together- on any day of the week. Allowing you to successfully cast your spells no matter what phase the moon is in, because now you have a deeper knowledge and more spell-casting options. I honestly don’t have a favorite day. In truth, each day has its own unique magickal energies and powers. I truly enjoy working with the different planetary energies throughout the entire week. Every day has new options and a different magickal theme- the opportunities and possibilities are endless. It’s fun and exciting, and as a Witch, I never get bored exploring all seven of the days of the bewitching week. 5. What challenges do you see facing the Wiccan/Witchcraft community? How can the community resolve those issues? We are growing so fast as a community, people from all different backgrounds, experiences and incomes, and I think we all need to be more tolerant of each other and of the various different magickal traditions. I see people getting into huge debates over silly things, like what a “Hedge Witch” is, and about how to pronounce athame, for Goddess sake. I have seen the self proclaimed “Grand High Pooh-Bahs” sneer at someone else who happily calls themselves self taught or eclectic. And I’ve seen Wiccans treat ceremonial practitioner like they were radio active or something. Its really getting old all of that “My tradition is real and yours is not”, type of thing. All this dissension among the ranks is such a foolish waste of time and magickal energy! We can be different, and we can have different styles of magick, and different Craft practices and ideas, and still be a community. We do have to stand together and we do have to work together. Is it going to be easy? Probably not, but diversity is a beautiful thing. So embrace it, see what you can learn from other traditions and styles of magick and then grow from the experience. 6. You also wrote “Elements of Witchcraft: Natural Magick for Teens”. Why did you feel it was important to write a book specifically for teenagers? At the time I wrote the book back in 2002, all of my children were teens. I wrote a book that was smart, practical and focused on the natural elements, as opposed to fancy and expensive doodads and accessories. Interestingly enough it is just as popular (if not more) with adults. The book does not talk down to the reader. That is important to me, to be respectful to my readers no matter what their age or magickal experience level. Today, I use the book as required text for my online class, “The Four Elements of Witchcraft” because the information there is solid, basic and accessible to any reader no matter what their actual age. The online classes have been very popular with my adult students and the feedback has been phenomenal. Bottom line: Natural magick is very user friendly and it’s a great place for anyone to begin their studies when they want to understand, and to learn the Craft and magick on their own. 7. I see you now offer online classes, what can people expect from these? My classes are affordable, practical, fun, and self paced. I keep my classes reasonably priced ($30.00 to $40.00) because in today’s economy its tough to come up with a few hundred bucks for an online class. I began offering the online classes because I had so many requests from students all over the country and in the UK who did not have the opportunity to take a “live” class from me. That got me to thinking… and now I offer three on-line classes. With two more classes in the works. The newest class should be up and available for purchase within the next few weeks. The topic of the new class? “Hearth & Home Magick”. And folks are already clamoring for it. With my online classes, you can expect new spells and charms for you to work on your own. Magickal folklore, deity information, and lessons that will challenge you to think for yourself and to stand strong and grow in your own style of magick and witchery. There are homework assignments, such as: creating different theme altars, working on your own books of shadows, writing your own spells and journaling exercises. There are some pictures in my Myspace albums of student’s altars form the “Four Elements of Witchcraft” class. Check them out if you’d like to see them. 8. As a Llewellyn author I’m curious as to your opinion, if Raven Digitalis and Deborah Blake got into a drunken fist fight who would win? 9. What can my readers expect to see from you in the future? I am working on my twelfth book for Llewellyn Worldwide. It will be released in early 2011. The topic and working title is a secret- but I will tell you this… its different from my other books, a bit darker and the topic is heavier. Yes, there is still practical magick and humor, (I’m writing it after all.) But it is different. Even the writing process has been different for me this time. So its been an adventure and very exciting to see where it ends up. I love it when I get the chance to learn and to grow myself, as I write a book! One of my books is getting a new cover this fall, Herb Magic for Beginners. The new cover will be available in November. There is a picture of it in my Myspace albums. I love the change, (well its green and has flowering herbs on the cover- so you know I like it.) What do you all think of the new artwork? 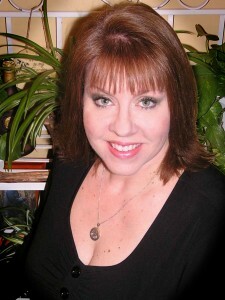 Ellen Dugan, the “Garden Witch,” is an award-winning author, a psychic-clairvoyant and a regular contributor to Llewellyn’s almanacs, datebooks, and calendars. A practicing Witch for over twenty-five years, she is also a certified Master Gardener. Ellen has written several books, including Garden Witchery, Elements of Witchcraft, Natural Magick for Teens, Cottage Witchery, Autumn Equinox, The Enchanted Cat, Herb Magic for Beginners, Natural Witchery, and How to Enchant a Man. Her Garden Witch’s Herbal, and Book of Witchery was published by Llewellyn in 2009.